Professor Almgren’s research interests focus social welfare and health care policy, safety-net health care systems, and the determinants of disparities in health and in health care. Dr. Almgren joined the academy after a 15 year career as a social work practitioner and administrator in not-for-profit and public health care systems. 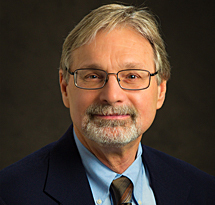 Prior to joining the faculty at the University of Washington School of Social Work in 1992, Dr. Almgren was a member of the faculty at the School of Social Service Administration and the Center for Health Administration Studies at the University of Chicago. Since joining the faculty at UW, Dr. Almgren has published numerous research articles on the determinants of premature mortality in racially segregated neighborhoods, as well as book chapters and textbooks on health care policy. His teaching interests include poverty and inequality, social welfare policy, research methods and health care policy.